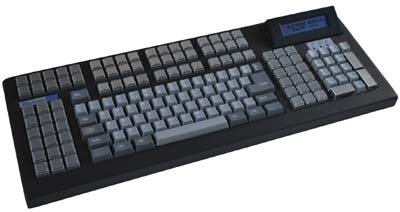 Some of the user-programmable keys can be illuminated and keytops can be removed for labelling. It has a USB hub, with a built in LCD as an option. Various language layouts are also available. Prices start at £315 for a single unit down to £250 for multiple orders. In addition, they can be leased on a monthly per-seat basis.